The 888 Poker Rewards Program will have some major changes with new and improved features to entice players. 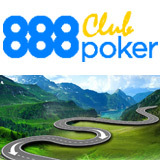 The 888poker club will be introduced as of the 28th March with some exciting new developments from the brand. One of the best changes we've noted with the new rewards program is that you'll maintain your status level permanently instead of a month-to-month basis like the previous program. 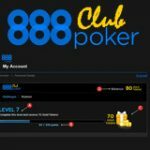 Players will also maintain their current status level and all points earned prior to the change will be converted to the same value of the new 888poker club points. 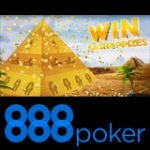 The new 888 Poker Rewards Program will be launched on 28th March, 2016 and it looks very promising with players getting more value for playing on 888poker. Real money players that already have accumulated points and climbed the status levels have nothing to fear. All current points and statuses earned will be automatically converted to the new rewards program for an equivalent value. 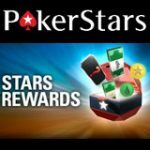 All 888poker players will become members of the new rewards program when it launches that this month. 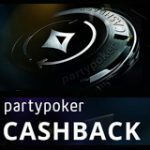 Players will now get bigger and better rewards for their points earned including, bonuses, cash and awesome selection of items from the 888poker shop. Players will now earn club points when completing challenges and increase their status levels with the points that they have collected. With every new status level achieved players will get special Gold Tokens which can be used to claim prizes. There have been some changes to the free poker tournaments with over $100,000 in prize pools to be won by club members in the new daily 888 poker freerolls. Each tournament is restricted to the players' status level, you'll need to register for tournaments of your current level. 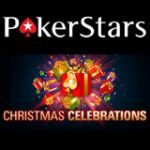 Points are earned when playing poker, casino games or even betting on your favourite sports team, you'll also get points for completing challenges. 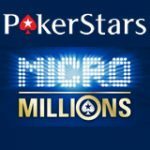 There will be a list of 888 Poker Club Challenges to complete when the new rewards program launches, challenges will be available directly from the lobby in the ‘My Account’ section. You'll also be able to see how many points you've earned so far and how many points required to get to the next status level. The new status levels are better than before because you'll always maintain your same status level even if you take a month's break from 888poker. Players can increase their levels by earning the required amount of points to progress. Points are not deducted when advancing levels instead they are used as a progress meter, your points can be used to claim prizes.